Thomas “Tommy” Warren started in the scale industry thirty-five years ago in the summer of 1979. He was hired as a scale technician for one of the largest independent scale companies in South Georgia. He has attended scale schools for Cardinal, Fairbanks and Rice Lake. 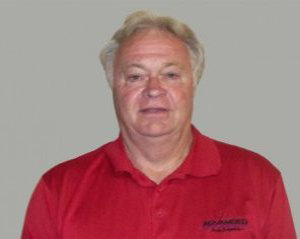 Tommy moved to Dallas, Texas in 1981 to work for Cardinal Scale Company for two years and then moved to Albany, Georgia to work for an independent scale company. Tommy’s specialties consist of heavy capacity scales such as: railroad track scale, motor truck scales, livestock, monorail scales, batch plants and feed mills. He is trained to work on lab balances up to a large railroad track scale. Tommy has been married for twenty-nine years, has four children and is an avid Georgia Bulldog Fan. His hobbies include landscaping, watching sports and spending time with his family.